There’s a new kid on the block here at Ameriflight and his name is N567SW. Obtaining and configuring a new aircraft is no easy task. In fact, it’s a long and tedious process that takes a lot of work from many departments across Ameriflight. 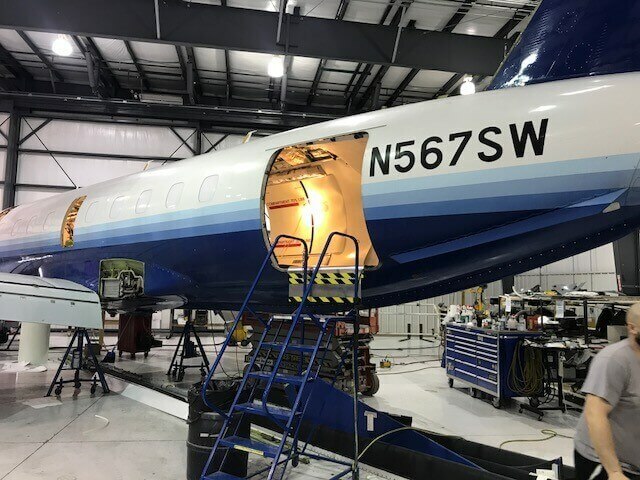 When it comes to acquiring a new Brasilia, Rich Miles, Embraer 120 Fleet Manager, oversees everything from start to finish, besides the finances. Due to company growth and the continuous demand to ship packages, our customers are asking us to add and upgrade some routes. To meet those demands, Ameriflight decided to purchase N567SW. Rich walks us through the process. It all starts with choosing an aircraft to lease. Ameriflight leases aircraft through Jetstream Aviation Capitol LLC. 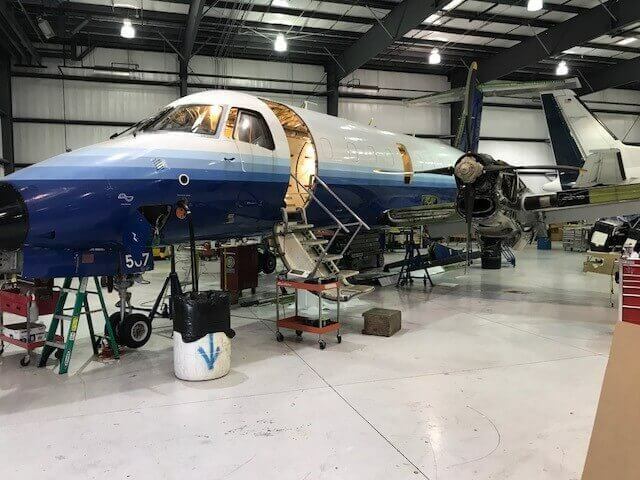 From Jetstream’s small inventory of available airframes, Rich picks out an aircraft and goes through a checklist of items, making sure it will be a good fit for Ameriflight. “I look for the airframes with the lowest flight cycles. Next, I look at available engines to install on it, as well as landing gear, prop blades and an APU. These are all time controlled items and our goal is to install equipment with four years or 4,000 flight hours before any major component expires,” said Rich. After all of the items are selected, Rich moves into building a bridge inspection. The bridge inspection program “moves the aircraft from the previous operator’s inspection program to Ameriflight’s. Our inspection program is 1,084 items; I have to find when each one was previously accomplished. Two years ago when we brought N560SW & N578SW onboard, the bridge took about three weeks to complete. I’ve since built a couple of programs that allow me to complete the bridge in just two days,” said Rich. After the bridge inspection is built, a workscope is put together and sent to Jetstream for approval. Once approved, a date is sent for work to begin. 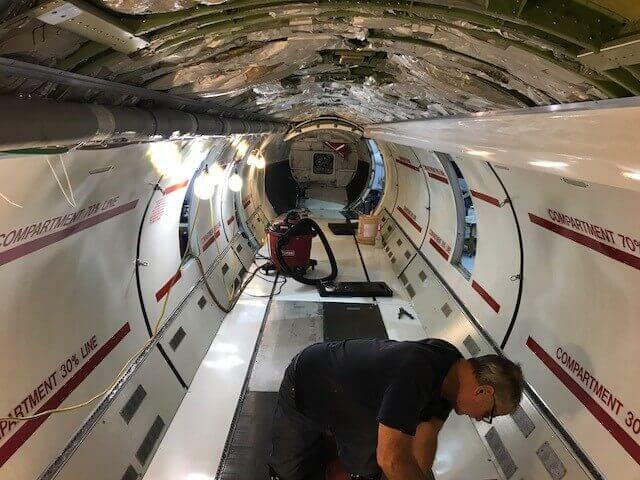 Cargo conversion on N567SW, as well as our other 10 Brasilias, was done by Worldwide Aircraft Services in Springfield, Missouri. Although Rich was in charge of overseeing the process, a lot of Ameriflight employees had a hand in the process. Work began the first week of November 2017. The aircraft was originally scheduled for delivery on January 15th, but Worldwide was struck with the flu bug and the project ended a month late. Nevertheless, N567SW was picked up and made its debut at DFW on February 15th, 2018. It didn’t stay at DFW long. It was flown to its new home, BQN, Puerto Rico where it started flying a BQN → Aruba → Curaçao upgraded route for FedEx on March 1st. Looking ahead, Rich says we can expect to see another Brasilia, N566SW, added to the Ameriflight family by the end of April, first of May at the latest. It will cover C-checks that will take place on two of our other Brasilia’s in May and June. After that, it will work as a spare aircraft. 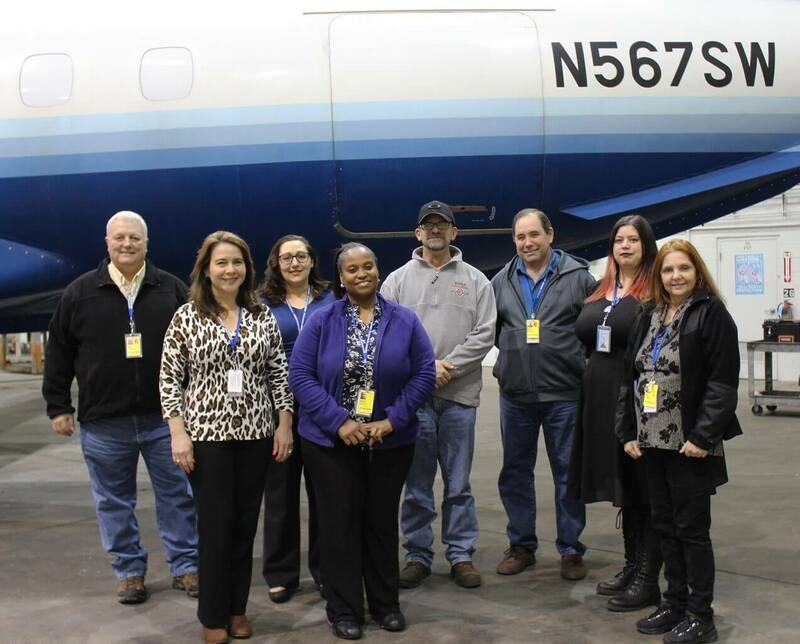 We’re excited about the continuous growth and additions to the Ameriflight fleet family! Quality Control and Records Team – Thank you for your hard work!